Nelson Sosa is a folk guitarist, singer, writer, and native of Los Andes, Chile, who performs the rhythms and songs of Latin America. Since arriving in Chicago in 1983, he has worked extensively with the city’s bilingual and Spanish speaking communities to provide music, text books, and study aids. He has performed in multi-cultural shows, such as “La Bamba: A Latin American Journey” with Urban Gateways and “The Key to Latin America” with Growing Together Inc. and with the Old Town School of Folk Music, where he also teaches guitar and vocal techniques. 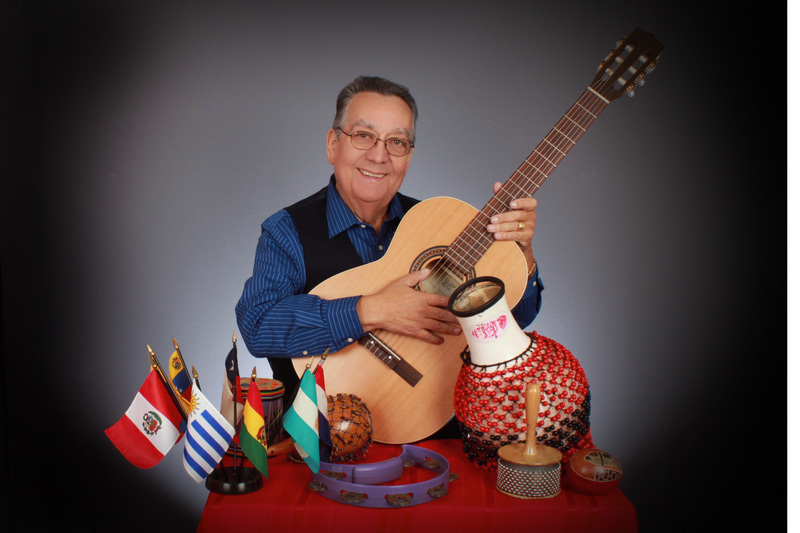 He keeps strong ties to Latin America by regularly receiving educational aids, learning new folklore, songs and rhythms, as well as new guitar techniques. With a deep love and respect for his native land, Nelson performs with vigor and understanding to preserve and communicate in his native language and music. He has performed at cultural institutions across the Americas, including schools, libraries, festivals and cultural exchanges in Chicago and at the Smithsonian Folklife Festival in Washington. He has also won honors at numerous competitions, such as the Festival de Viña del Mar in Chile. Nelson believes in the concept of “Art in Education,” and this is the reason he continues to work with Urban Gateways. His passion for music is more than a love of the combinations of notes, lyrics and rhythms; it is his life. Despite having attempted to retire from music many times, Sosa has realized that music must always be a part of him. Music has opened many doors in his life, and has allowed him to meet many people. During all of the years working with different schools, he has come to realized that teachers could use music in the classroom to teach any subject. Working with children has helped him to understand that students are a lot more receptive when music is involved.